“Can I barre while pregnant?” This is a question we hear often. 2016 was the big barre boom of babies! At one point it seemed that we had the majority of our clients, “Tucking for Two”! What better motivation do you need to push through that last eight count, or plie one inch lower, or even lift an inch higher, than to be standing at the barre next to a full term, baby mama? Nothing stopping her, so why should you? What a beautiful sight, so strong and determined, focused and driven, for not one, but two: setting the tone for all those eager to keep the same pace. These days, maintaining and even improving fitness levels is encouraged while pregnant. The benefits of barring while pregnant boosts mood and energy levels, supports better sleep, and helps prevent excess weight gain. It also prepares you for childbirth by strengthening muscles and building endurance, making it much easier to get back in shape after your baby is born. We have even heard from our clients that barring during their pregnancy helped make their labor a little easier by improving endurance, and stamina with learned breathing and focus. Research suggests prenatal exercise may also lower the risk of developing gestational diabetes and preeclampsia. It is so beneficial that the American College of Obstetricians recommend healthy women exercise at least 30 minutes a day, claiming the ideal workout would be one that gets your heart pumping, keeps you limber, manage weight gain and prepares your muscles to handle the physical demands of pregnancy and the postpartum period without causing undue physical stress for you or the baby, which leads us to the perfect workout for pregnant women – barre! To know that barre is the perfect workout for pregnancy is to understand what barre is. Our Body Sculpt Barre class is 60 minutes of a total body engaging workout, made up of low impact, body resistant moves. Surrounded by building and using a strong core and balanced body, we sculpt with light weights of 3 to 5 pounds and use our body to channel multiple muscle groups at once, giving you an increased heart rate, mild but effective, while you tone, change, and strengthen every muscle in your body. Our moves focus on lengthening and strengthening muscles, changing the structure of your body through lifted seats and cinched hips, thighs, and waists. Using breath and focus, our form focused class forces you to escape from everything around you and focus on your body and mind connections. Due to the low impact, controlled and focused nature of the workout, Body Sculpt Barre is not only perfectly adaptable to pregnancy, but it seems as if the technique could have even be created specifically for it! Don’t get us wrong, it’s no easy workout; however, our safe and effective, low impact program works you both mentally and physically, pushing you to your fullest capabilities, and providing you with the essentials to be strong and healthy through your pregnancy, and prepared for labor and delivery plus a rapid recovery. Because our classes always target glutes, hamstrings, inner thighs, pelvic floor, abdominals, and upper and lower back, you always cover areas on which to focus both pre and postnatal. These muscle groups need to be simultaneously strengthened and lengthened to accommodate the growth of the baby and for you to feel better in your ever-changing body. Will there be things I can’t or shouldn’t do from time to time? Sure! As your body changes along the trimesters and you become more uncomfortable with certain positions, you may not be able to fully complete an exercise, leading to an alternate move. Our instructors offer modifications and other options for you. Is it safe to work my abs while pregnant? You may be surprised to know, while it is important to tailor your abdominal exercises when pregnant, core strength is essential to help your body adapt to the constant postural changes during pregnancy and therefore appropriate abdominal work should be continued. It’s all about balance- the belly needs to be flexible enough to allow for the baby to grow but strong enough to support that growth. The great news is that our clients engage their one abdominals throughout our entire 60-minute workout, from deep abdominal stabilization, to focused exercises. And let’s not forget about our kegels. Kegels are a must to develop the deep core strength necessary for labor and delivery, so be sure to include them both in and out of class. Good news again, we use our pelvic floor for much of our class, strengthening your kegels! While we invite and welcome all pregnant clients, it is always better to listen to your body. If it doesn’t feel right, modify. And of course, be sure to get the ok from your doctor before beginning a new and/or continued workout while pregnant. Wake and Shake… Why I Barre before my day starts. I truly enjoy going to Body Sculpt before my day starts. By getting my workout in early, I don’t have time to come up with excuses like I would later in the afternoon. The 5:45am class wakes me up, gets me moving early, and knowing that I’ve already tackled my workout gives me a sense of accomplishment and gets me in the right set of mind to take on a busy day at work. I always leave Body Sculpt in a good mood, and that transpires throughout the rest of my day. I am more attentive, productive and definitely a lot nicer! Through barre, I have lost 12 lbs, made new friends, and I’ve found an outlet for stress relief. For that I could not be more thankful! 46 short years ago I started my first year of dance. My parents thought they were signing me up for just "something to do" but I developed a love of being active and fit. I was a petite little girl and remained that way for many years. I enjoyed dancing, cheering, running, swimming, walking and such. The summer before my 9th grade year I blossomed into a curvy fit body (my dad was full of anxiety about this body I might add). By the time my 10th grade year came around, I would teeter totter the scale with 8 lbs going over my desired weight and then back down. It was like a rollar coaster and I was very conscious of my new body size. I'm only 5'2. As the years have gone by, I would always teeter totter with the extra 8-10 pounds. Sometime loosing them and feeling comfortable and then putting them back on but I continued to dance and be active. When I turned 32 I gave up the art of dance. But I continued to walk, run, and occasionally work out to DVD's at home or the local YMCA and kept a decent fit body. At age 42 I had a hysterectomy. My metabolism took a major plunge and my body slowly added 18 lbs of weight. As the years went by I seemed to experience the skin loosing some tone as well. I was at the point that no matter how hard I tried to eat right and work out or walk it wasn't enough. My primary care physician told me I would have to work out twice as hard to loose the unwanted 18 lbs. So in 2015, two of my sons began to plan weddings for 2016 and I knew right then I had to do something to look like my heart desires. I heard about Body Sculpt Barre in January 2015. Just being a former dancer, the name of the business caught my eye. I knew that the best fit body I ever had was during my dancing days. In February 2015 I purchased the DVD to work out at home. With my work schedule at that time I couldn't contribute the time or $ to go to classes. The first time I watched that DVD I loved BSB! It seemed to be just what I was looking for! As a self motivator, I started doing the Barre DVD, but after a few weeks I was not doing it enough to make a huge impact on my grandma developing physique. In September 2015 I decided that if I was going to look the way my mind wanted me to for the my sons weddings, I needed to be in regular classes at BSB. On September 11, 2015, I opened one of the best doors of my life! I attended my first Body Sculpt class. I was hooked! I couldn't wait until the next class, the next, and the next. About every 6 weeks I could see great changes to my body shape. I began to feel toned and healthy. I began to eat better and drink water all day which helped my complexion and gave me more energy. The instructors are qualified beyond measure. They explain what move targets which part of the body, train you to breath correctly, and correct when you are incorrect. They offer a guidance on eating clean and eating healthy to successfully loose inches. It is now almost 10 months since I started Barre regularly. I feel the best I have felt in many years. My measurements are what they were when I was in my 20's and I am toned all over. I rest well at night and have a lot of energy. With all the festivities we had this year, I also turned 50! I am Fabulous at Fifty and I can't wait for that next Barre class (which is in an hour for me)! I am officially a Barre Junkie or call me what you want, there are a few other names, Barre Beauty, Barre Babe, Barre Bum..... All I know is that these Barretenders (our instructors) are awesome and make BSB what it is! Come to the BEST Barre in town (Body Sculpt Barre) and give it a try, you will love the new you! SO HERE'S TO BEING A BARRE JUNKIE AND FEELING FABULOUS AT FIFTY!! 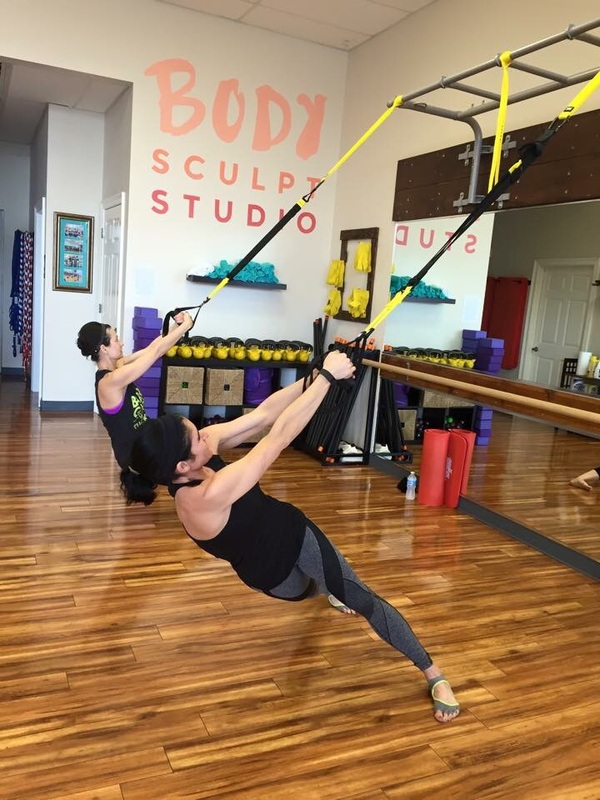 I first discovered Body Sculpt Barre Studio in August of 2015. I had heard great reviews from a few friends about it and it sparked my interest to try it. I had no idea what barre was, but I was willing to try out anything at least once. Going to the gym alone was boring and I did not feel like I was seeing any progress. I had also tried other fitness classes, but I just didn't feel like they were for me. I couldn't bring myself to stick to any routines, but I knew I needed to make a change for myself. I decided to sign up for my first trial class. From day one of walking into this studio, the instructors have been nothing shy of encouraging and motivational! I knew then that this was a fitness routine that I could see myself sticking with. I was so sore after my first class that I could barely walk for two days, but the burn felt so good! Once I started seeing results I couldn't stop. I love the variety of classes that BSB has to offer and the routines are never the same as the last class. This always keeps it fresh and exciting. Flash forward to a little over a year and I am just as much as a barre addict as I was from day one. Around the end of June 2016, I felt myself starting to hit a plateau. I was still going to barre classes regularly, but working full time night shifts at a hospital really takes a toll on your body and energy. My personal performance wasn't as good as I wanted it to be. I felt like I needed a jumpstart. That is when a friend of mine introduced me to AdvoCare. I started to incorporate a lot of the AdvoCare products into my fitness and daily routine. I decided to try the AdvoCare 24 Day Challenge to give me the boost that I needed. Two weeks into the challenge, my energy was through the roof and I was feeling better than I had in two years. I also started making healthier choices about the foods I put into my body. Once I started eating right and using the right products, I noticed how much better I felt during barre classes. I finally feel like I have found the perfect routine for my lifestyle. The combination of Body Sculpt Barre Studio and AdvoCare have brought so much happiness and success to me. The picture below shows a 30 lb. weight loss, but also a huge gain of confidence that I thought I lost a long time ago. I'm grateful for the day I decided to take a chance and walk into those studio doors for my first class. This fitness journey has had ups and downs and it is far from finished, but I'm happy to have my barre family by my side every step of the way!